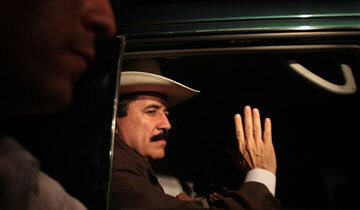 Home Uncategorized How Native Has Zelaya Gone? How Native Has Zelaya Gone? Quico says: So native the guy is prattling on about assassination plots now! Weak, weak, WEAK! Post 72 of 100. I’ll say it one more time: WEAK!